Just as investors diversify their portfolio of assets to minimize financial loss, fisheries managers may diversify their portfolio of conservation strategies to minimize species loss. Another fishy analog for the “portfolio effect” comes from the steelhead—it reduces risk of extinction by displaying a diverse array of life histories, or pathways from hatch to spawn. My colleagues and I found that wild Klamath River steelhead, for example, display at least 38 different life histories (Hodge et al. 2016). They spend from 1 to 3 years in freshwater before heading out to sea, and from 2 months to 4 years at sea before returning to freshwater to spawn. 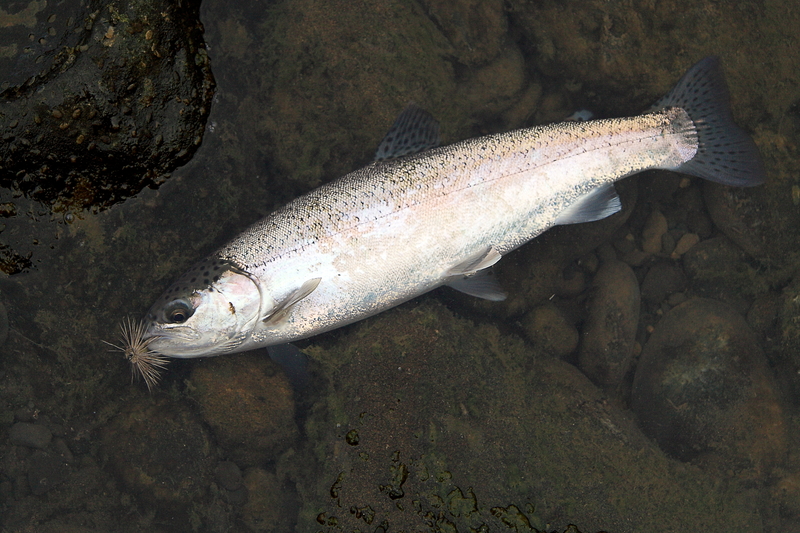 Some steelhead (“half-pounders”) return from the ocean for reasons other than spawning, whereas others (rainbow trout) spawn without ever leaving freshwater. Fish of both anadromous and freshwater forms are capable of spawning repeatedly (up to four times) in a life span. 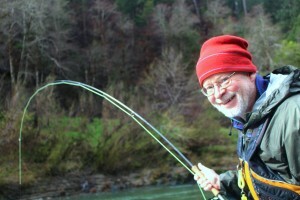 Further complicating matters, steelhead mothers can give rise to rainbow trout, and rainbow trout mothers can give rise to steelhead. Half-pounders are steelhead that return to freshwater several months after initial ocean entry, overwinter in freshwater, and return to sea in the subsequent spring. Only about 8% of half-pounders spawn as such, and steelhead that display the half-pounder life history pay a price for doing so—namely, because they spend less time at sea than their cohorts, they are significantly smaller and less fecund as adults. Like others before us, we wondered how the half-pounder life history could persist in the absence of an apparent, common advantage and in spite of an obvious disadvantage. To explore possible explanations for the half-pounder life history my colleagues and I used models and empirically-derived data to evaluate the life history in the context of survival and breeding success (fitness). Our results suggested that to offset the breeding-related cost of spending less time at sea, the half-pounder life history must occasionally offer a survival-related benefit (even beyond higher rates of postspawning survival). We deducted that the survival advantage must manifest during the first ocean winter, when half-pounders are in freshwater and their counterparts are at sea. We therefore concluded that the half-pounder life history likely developed, at least in part, as a means of mitigating ocean mortality. The benefit of the half-pounder and other forms of life history diversity is dispersal of risk. In simple terms, Klamath River steelhead put their eggs into a relatively large number of baskets, and in doing so, stabilize the population over the long term (see Schindler et al. 2010 and Moore et al. 2014). 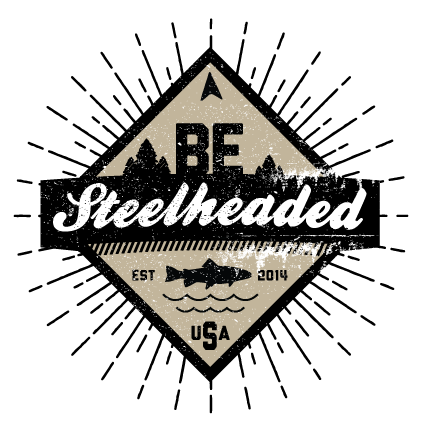 When we look at the steelhead, we can see why part of managing for an effective conservation portfolio is managing for a diverse life history portfolio. Brian Hodge is a fisheries biologist and project coordinator for Trout Unlimited in Colorado.